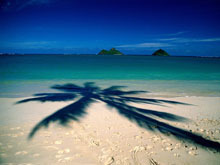 Our office is located in Key West, Fl, the only American Caribbean Island - offices opening soon in Sedona, AZ. This site is best viewed with a computer and monitor :-). Website Design : The graphic design and coding of web pages, full websites and interactive web applications. Professional graphics, website design and its implementation requires much more than flashy pretty layouts and HTML/XHTML coding skills. It takes an understanding of well heeled design principles, colour management, and skills that incorporate usability studies and most up-to-date web development technologies to help deliver your company's message to existing and potential customers. A professionally designed website will enhance your presence by defining your corporate identity and who is your customer base. Blackhawk Design & Media is a professional website design firm that stands for crisp, clean website development, compatibility, and outstanding design. The first step is to analyze your needs. We at Blackhawk Design & Media will interview you and throught that process we can determine how you intend your website to function. We offer multiple options to meet your objectives as well as fresh ideas that can enhance your online goals. From the information supplied by you and through the interiew process, we are able to focus on delivering a product that will exceed your expectations. Next, we will design a prototype of the website that serves as a trial run for the finished product. The design will integrate a professional layout with a theme, logos and colours that is appropriate for the business or individual it represents. Blackhawk Design & Media's websites are accessible to the widest possible audience through browser and computer compatibility. We test your site using different operating systems including Windows, Linux and Macintosh and leading industry browsers to guarantee full funtionality. Additionally, we design fully valid W3C documents. Blackhawk Design & Media creates websites that are easy to navigate by real humans and by various search engine bots and spiders. The clean image design and coding we do allows for the fastest possible page loads. Hosting Assistance. We have many hosts we can hook you up with, depending on your needs. Blackhawk Design and Programming Services are based upon specific customer requests. Please be as detailed as possible when requesting services and/or quotes. Linking Quicktime VR Scenes	$180.00	ea. Image scanned for Web	$25.00	ea. Image edited for Web	$25.00	ea. * This sevice requires name registration with the InterNIC. Fees are 70.00 for the first 2 years and 35.00 each year there after. All lnterNlC/ICANN fees are billed directly and are the customers responsibility to maintain. ©2004-2007 Blackhawk Design & Media. All rights reserved.